Many model-based methods in AI require formal representation of knowledge as input. For the acquisition of highly structured, domain-specific knowledge, machine learning techniques still fall short, and knowledge elicitation and modelling is then the standard. However, obtaining formal models from informants who have few or no formal skills is a non-trivial aspect of knowledge acquisition, which can be viewed as an instance of the well-known “knowledge acquisition bottleneck”. 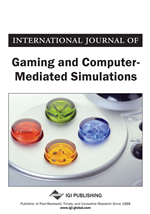 Based on the authors’ work in conceptual modelling and method engineering, this paper casts methods for knowledge modelling in the framework of games. The resulting games-for-modelling approach is illustrated by a first prototype of such a game. The authors’ long-term goal is to lower the threshold for formal knowledge acquisition and modelling. In this paper we propose and illustrate an approach to knowledge acquisition and formalisation that does not primarily address the formal structures to be delivered, but rather the process of conceptualization and modelling, yielding formal models. We discuss the general idea of games-for-modelling, and also present an initial prototype as an example and basic proof of concept. Formal knowledge models of some sort are essential in AI and related fields, not just as part of the theoretical foundations of the fields, but also for application: computation based on knowledge structures inherently demands some artefacts, which may vary from “lightweight formalisations” (e.g., diagrams or strictly structured text) to expressions with formal semantics. Focus in most cases (in research as well as practice) is on the syntax and semantics of the formal artefacts, and on associated reasoning methods to apply the artefacts to problems. Obtaining such formal models is nowadays tackled in AI by using some knowledge acquisition (KA) and modelling method, such as CommonKADS, which suggests a step-wise approach, starting with informal, conceptual representations and methods and refining these until a formal model is obtained (Schreiber et al., 1999). Although such methods were initially proposed as solutions to the Knowledge-Acquisition Bottleneck (KAB), experience shows that this KAB is as real as it was more than two decades ago when it was first mentioned (Hayes-Roth, Waterman, & Lenat, 1983). The enormous increase in the volume of knowledge discovery from data and machine learning research during the last decade, which was largely motivated by the appeal of automatic knowledge acquisition from data (Berthold & Hand, 1999), is evidence that the KAB is still prominent today. The expert knowledge engineers/modellers that could be hired to do the modelling job are few and expensive. Breaking the KAB by structurally employing expert modellers will only work in the most urgent of cases, covered by unusually large allocation of resources. Many of the promises of AI concern a global user community of organisations and citizens that will never have access to expensive knowledge engineering experts. This will simply prevent many of the promises with respect to the wide availability of knowledge-based AI solutions from being fulfilled and, furthermore, it casts doubts on the future of enterprises like the semantic web. The practical problem of the KAB presents us with challenges that are important and interesting enough to warrant focused academic efforts for understanding and alleviating the problem. As acknowledged by Wagner (Wagner, 2006), in fields like software engineering, information system engineering, and enterprise engineering, we are also confronted with KAB-like problems on a large scale, and consequently solutions are actively sought there, too. In our research we work towards development of alternatives for existing knowledge acquisition and modelling methods. One idea we are exploring is to look at formal knowledge modelling activities as games (or, more modestly put, ‘game-like procedures’), forcing ourselves to look at contextualised, operational modelling in which human factors are inevitably included. Because the way in which we employ games for formal knowledge modelling involves human-computer interactions (HCI), these games-for-modelling systems can best be tested using HCI-like evaluation methods, including existing methods specifically aimed at game evaluation. This combination, games-for-modelling and exploitation of HCI methods for evaluation, is, to the best of our knowledge, new to AI. After providing an overview of related work, we will argue in favour of this approach, explain how methods can be viewed and designed as games, and provide an example of such a game, in the form of a first prototype. The paper is rounded off with conclusions of what has been achieved so far, and we offer a sketch of envisioned future work.